Website Images: Are They Really That Important? Humans are visual creatures, with 40% of people claiming they respond better to visual information than plain text*. For this reason, the design of your website and effective use of imagery is extremely important in engaging your customers and prompting them to make an enquiry or purchase. With the rise of image central social networks like Instagram and Pinterest, we have learned to process information extremely quickly through visual cues, forming impressions within seconds. In order to make your message understood, it is therefore essential to accompany this with related imagery to ensure an almost instant understanding of what is being communicated. It is essential to ensure the images used on your siteÂ reflect your company values, look professional and effectively frame your content. Imagery should relate to your offering, but doesn’t have to be literal. 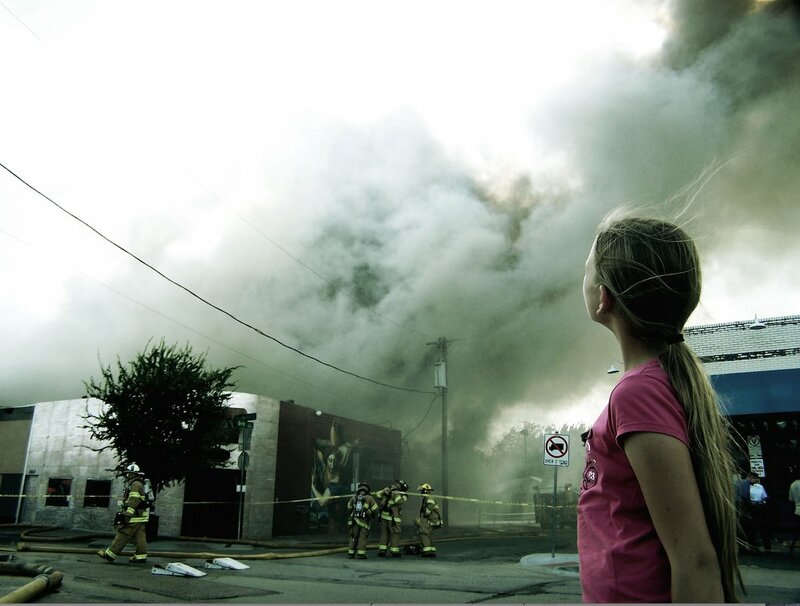 For example, if you sell fire safety equipment, a static image of a fire extinguisher might not be as engaging as an image of a fire being extinguished. Consider how to best catch the eye of the consumer as soon as they land on your site. Consistency is key â€“ just as you should replicate your company’s tone of voice across all communication through the website and social media, the style of imagery you use should also be consistent to affirm your brand identity and build trust in your customers. 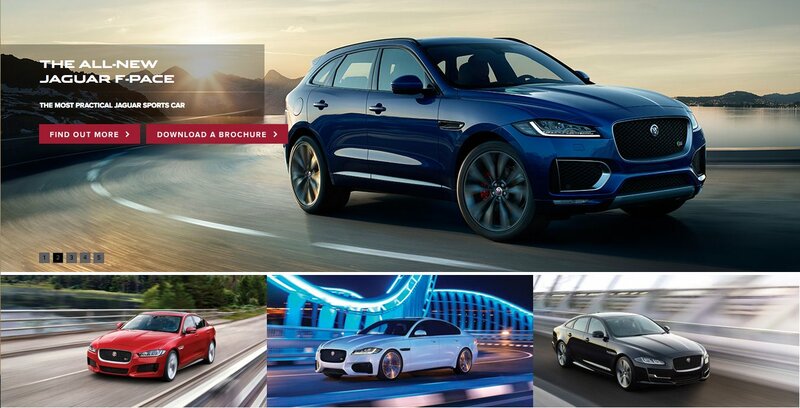 The Jaguar website is a great example of this â€“ they only use high quality lifestyle shots of the cars on their homepage, enhanced in post-production to look as if they are moving, to infer the speed of the vehicles. They haven’t confused the message by including product shots of the cars on white backgrounds, or any imagery containing people â€“ it’s all about the cars and it’s consistent. While you may not have the budget or resource to produce images of this high a quality, it is important to consider how all of the images on your site complement one another and represent your brand. With the absence of the ability to touch and feel the product, give customers the opportunity to see the product from every angle where possible â€“ 360 photography can enable you to let consumers rotate the product to see every angle. People buy for emotional reasons, so consider how you can appeal to users’ emotions when selling your products â€“ especially if they are high value purchases. For example, holiday companies often include smiling couples or families in their photographs, appealing to consumers’ emotional attachments to the loved ones they will be taking the holiday with. Stock photography can be extremely hit or miss â€“ it can be utilised by companies who do not have the budget or resource to take photos in-house, but it can often be misused when clichÃ© or inconsistent imagery is used. If you need to use stock images, take some time to browse the resources available â€“ there are a wealth of websites offering free and paid images, of varying quality. Sites such as Stocksnap contain free images supplied by photographers, which are much more creative than some of the other platforms providing generic images. Shutterstock is a great resource for paid imagery, with packages available to save you money when buying in bulk. Images of the office can also help to attract customers and potential new employees, by giving a sense of the environment you work in. 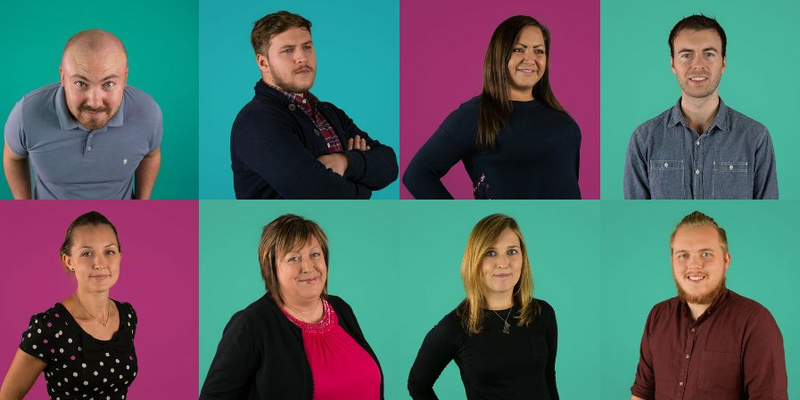 This enhances the legitimacy of the business, and can be much more engaging on your ‘Contact Us’ or ‘About Us’ page than a generic stock image of a call centre worker. Studies have shown that on average, over half of users spend less than 15 seconds on a website*. This gives you an extremely short window through which to communicate your message; follow these tips to ensure your imagery helps you to convert visitors into customers.